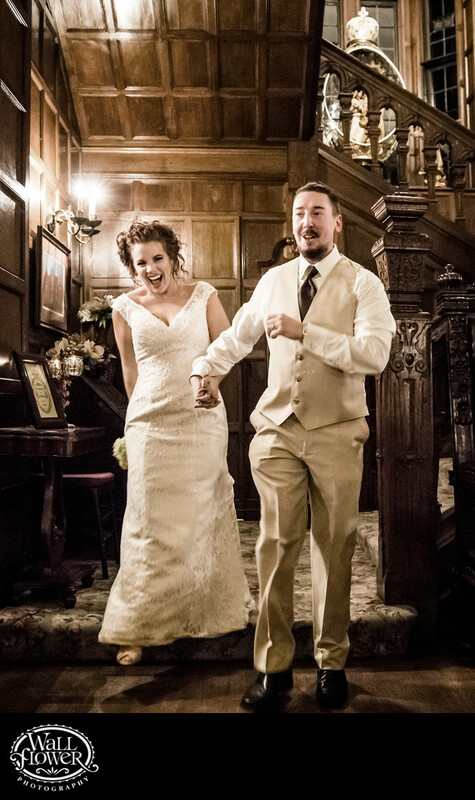 This bride and groom's January wedding ceremony took place in the Great Hall of Thornewood Castle, then they headed upstairs to sign their marriage license and relax for a few minutes. This photo shows their introduction as they made their grand entrance, with wedding guests (standing behind me) cheering wildly. The photo has what is essentially a sepia toning (done digitally in Photoshop, of course) but the photo's original color wasn't completely removed, so the skin tones are a bit more present.